In my recent excursion around the malls, one thing became crystal clear-sequins are the go-to trend for the holidays. Every store I went into was super shiny and sparkly. 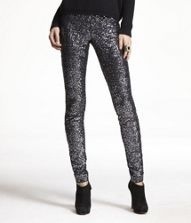 The great thing about sequins is that you can wear them for a dressy evening or to spice up a casual outfit. 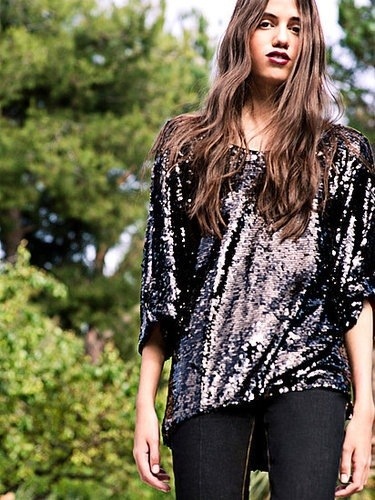 I love the look of a sequin top with jeans or a sparkly skirt with a tank and motorcycle boots. Here are some of my favorite pieces for the holiday season. So, go ahead-get your shine on!! express was head to toe sequence yesterday when i stoped in too. i almost needed my sunglasses ! shiney and bright! It is very shiny in there! !